Acme Adapters sells kits for any 4-cylinder water-cooled Volkswagen family of engines. For the diesels, the 1.6 and 1.9 turbo and non-turbo 4 cylinders fit perfectly in the Samurai, Sidekick and Geo Trackers (Sidekick/Trackers:1989-1998 non-sport model vehicles). The gas 1.7, 1.8, 2.0 engines also work extremely well in the Suzuki's. For Toyota turbo diesel pick-ups the TDI and 1.9 turbos fit well. Acme Kits are designed for use with the 4 cylinder VW engines made prior to 1998 and installed in Suzuki Samurai sj413 from 1986-1996, Suzuki Sidekicks and Geo Trackers from 1989-1998 (non-sport models) and Toyota's using the 22R style 4 or 5 speed transmission from 1979-1995. Please note that Acme Acme kit #1 and our basic Sidekick/Tracker, and basic Toyota kits will fit any of the VW 4 cylinder inline water cooled engines from 1976-2006. Transmission Options. Acme Adapter turbo diesel kits will mate the VW engine to your transmission of choice: Samurai, Sidekick and Geo Tracker (auto or manual) transmissions and the Toyota 22R, 4 cylinder style, (auto or manual) truck transmissions. If you are planning to use a Toyota transmission or Sidekick/Tracker automatic transmission for your application, you will need to add that option cost to your kit (see the individual parts list at the bottom of this page). You can choose an Acme Adapters turbo diesel kit in any configuration you want! 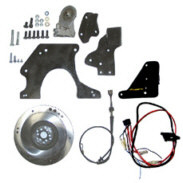 You can purchase a Bare-bones basic adapter kit (adapter plate, flywheel and bolting hardware) or a complete Suzuki turbo diesel kit with everything you need to be up and running in a weekend or two. You can also purchase any individual part to supplement your engine swap. No core charge required. We don't require an exchange for any of your parts. There are no additional charges once you purchase your kit. All kits come with FREE unlimited Acme technical support. When you purchase an Acme Samurai turbo diesel kit or related part, you get free technical support with a real human being on the other end of the phone. How long does that Acme support last? It lasts until your done with your engine conversion. We are done when you are done. Acme Adapter Suzuki Turbo Diesel Kits typically ship the next business day. Some unique requests can take up to 3 days before final shipment. Shipping costs are based on shipping within the Continental US to your door from Portland, Oregon. Acme Adapters accepts payment by Money Order, Personal Check (when cleared), Credit Card (through paypal.com) and Paypal payments. The fastest way to get your kit shipped to you is to use Paypal. We ship Acme Suzuki Samurai Turbo diesel kits outside the United States. For those ordering outside the continental USA, such as Hawaii, Alaska, Canada, Europe, Australia, South America and other countries, please e-mail us with your address for an accurate shipping estimate. Questions about your order. If you need more information or require clarification, please contact us at sales@acmeadapters.com before you purchase your kit. We will contact you via phone or e-mail. We want to make sure you get exactly what your looking for. Acme Kits come in any configuration you need. Bare bones basic or in a complete kit! VW Engine & transmission packages: Samurai, Sidekick/Tracker and Toyota. For additional items you may need, please see individual parts available for purchase below. Notes: Recommended for those that can weld, fabricate and design engine mounts, engine accessory brackets and other hardware as required. Notes: Requires a special sized radiator; If your planning to use a later model 1.9 TDI engine(1999 and up), contact us before you order your kit. 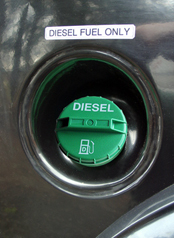 Make sure your Suzuki gets fueled up correctly at the pump by installing a genuine green Suzuki diesel fuel cap. 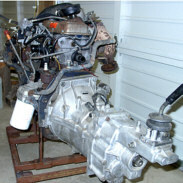 (1.6 & 1.9TD AAZ engines). housings don't warp and provide grounding for sensors eliminating extra wiring. ACME VW diesel water temp housings are anodized for corrosion resistence and come with a new VW temp sensor (for glow plug relay), Suzuki temp sensor (for your stock temp gauge) and an aftermarket port so you can utilize a mechanical water temperature gauge.